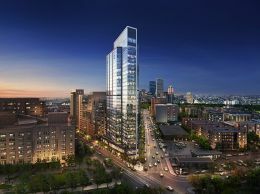 One bedroom at Millennium Tower for lease! 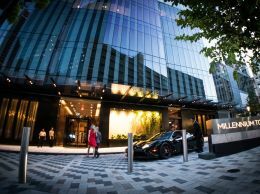 Boston's premier full service luxury residence featuring 24-hour five-star concierge service, uniformed doorman & pager, onsite management, maintenance, and round the clock security. Two story club level space includes resident lounge with food and beverage service, private dining room, full size lap pool with hot tub, 10,000 square foot fitness facility with cycling, yoga, & TRX studios, expansive roof terrace beautifully landscaped and furnished with fire pit, private resident cinema, library, and billiards room! Great layout with hardwood floors, top of the line appointed open concept kitchen, full stone appointed bathroom, in-unit laundry, floor to ceiling windows, and great closet space! The information in this listing was gathered from third party resources including the seller and public records. Listing information provided courtesy of DeRocker & Khoury of Compass . MLS Property Information Network, Inc. and its subscribers disclaim any and all representations or warranties as to the accuracy of this information.